I'll be honest, when I first heard that Bourjois were launching a version of their Magic Nail Polish Remover pot which could also be used for the toenails, I wondered how it would work... believe me, I have pondered sticking a toe into my pot for the hands... so I thought a bigger pot with some kind of well in it was on the cards... never had I imagined it would look like this! Errmmmm it looks the same as the hand one, except purple, right?! Right, from the outside - big fat WRONG on the inside, as this is where the genius idea come into play. 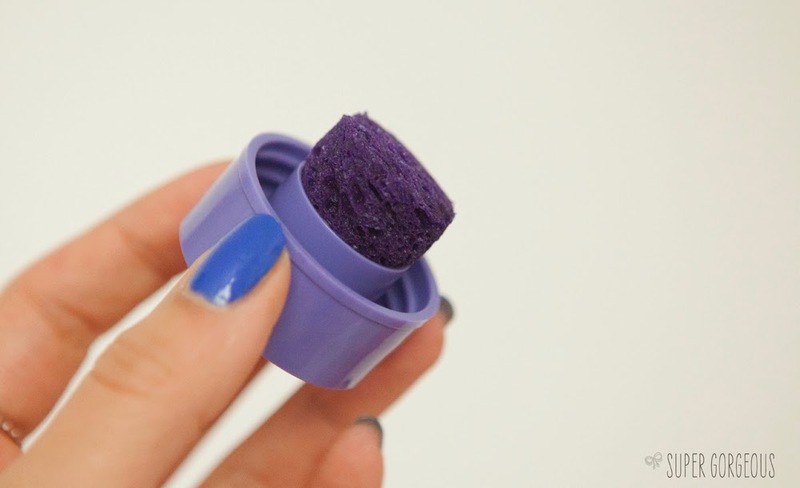 Not only is there the same sponge in the pot we have come to know and love - the lid now has a sponge on it too, to wipe across your toenails and remove nail polish. If you need more remover you just screw the lid back on, tip it upside down, and the sponge soaks up some more polish. It is so clever effective and I love how it has solved a multitude of problems - removing your toe nail varnish without affecting your polish on your fingers is now possible! Having to fix one scuffed up finger or toe can now be done without getting bits of cotton wool fluff over your other nails. I L.O.V.E-love it. It still contains sweet almond oil to nourish your nails and cuticles as you use it, and although I would never say a nail polish smelled 'nice', this one is actually really pleasant; with the strawberryish fragrance they call 'red fruit and vanilla'. This will become such a staple of mine - I feel like I have waited for it to come out forEVER. I've used my finger pot constantly since it's release, and it just got even better! 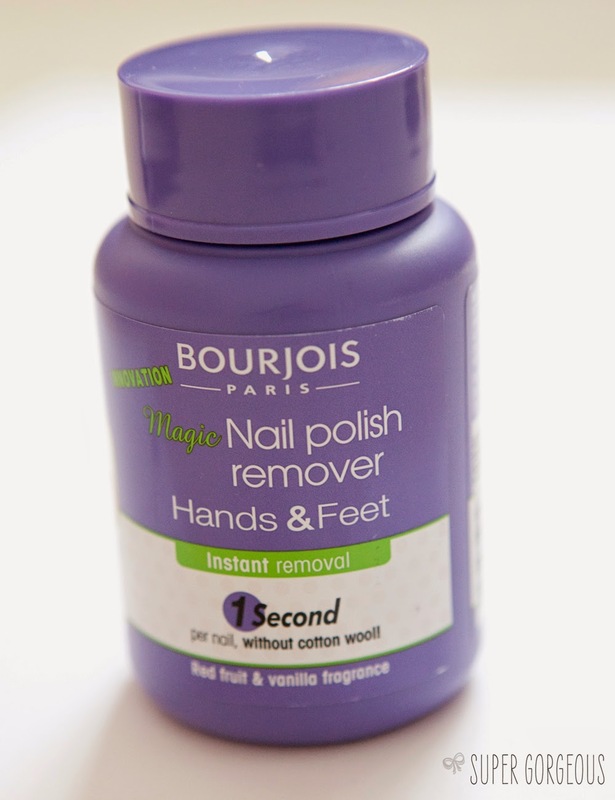 The Bourjois Magic Nail Polish Remover costs £5.99 and is now available exclusively at BeautyMART. It will be launching online at other outlets including ASOS, Amazon and Very.co.uk in mid May. This is utter GENIUS! I painted my finger nails the other day and realised I hadn't taken the old polish off my toes....it got messy and ended in me redoing my finger nails! You definitely are an artist! So much detail, well done! And I love the design too (the Harry Potter one was my favorite!! Follow Naio Salon Suplies to get new idea about nail art. This is such a good idea! I hate mucking up my fingernail polish when trying to re-do my toes!